Have just got the new iPhone 8 but don't know how to transfer your important and private data from your old Motorola phone to it? A good idea will surely be provided in this article to solve you problem. It is common utilizing a third-party program. Well, there are many similar phone to phone transferring programs available and the problem is which one to use. You are afraid that some programs is complicated to use and working inefficiently. To avoid that, Coolmuster Mobile Transfer is introduced to you for your reference. It can help you transfer contacts, text messages, photos, videos, music and apps from Motorola Droid/Atrix/Moto X to iPhone 7/7 Plus/6/6S/5/5S, and vice versa, within three steps. You just need to choose which kind of files to be transferred and kick off the transfer process in one click. Only a few minutes are needed for finishing the data transfer from Motorola to iPhone. Want to enjoy a hassle-free transferring process with zero quality loss? Just keep on reading. 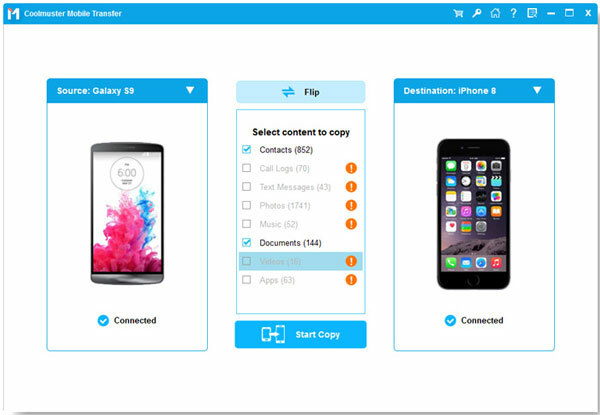 How to Copy Files from Motorola to iPhone? 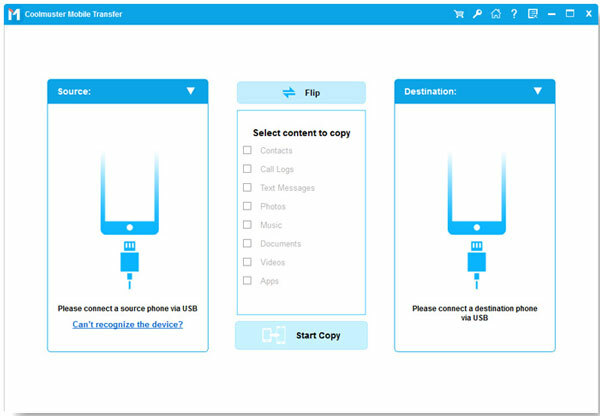 To start with, you should download and install this Mobile Transfer on your computer. Launch it and connect both your phones to the computer via USB cables. Mobile Transfer will detect them soon. Choose "Phone to Phone Transfer" option from the main interface and click "Start" to enter the phone transferring window. Then, you can see the two phones are displayed side by side. As I mentioned above, Mobile Transfer is able to transfer contacts, SMS, photos, videos and many more file types between two phones. Therefore, you should select the files you want to transfer and after the data selection, you can give a click on the transferring icon that is pointing to iPhone to begin the transfer.